NBA 2K15 — баскетбольный симулятор от студии Visual Concepts. В 2K15 реализована реалистичная физическая модель поведения баскетболистов, а также улучшен искусственный интеллект и другие элементы игрового процесса. Despite a lack of massive changes, NBA 2K15 is still the premier basketball experience that I don’t see being unseated any time soon. The gameplay is as satisfying and fun as ever, and when combined with the TV style presentation it is amazingly realistic. We thought NBA 2K14 had hit the limits of what a basketball game can be, that nobody could do better, but the new brew manages to do even better. NBA 2K15 improves the gameplay even more for an impressive result, and only the loading times and the facial scan feature might disappoint you. No need to say more, this is the best basketball videogame of all time. Battling for space and effectively using a screen to set up a wide-open jumper is superbly satisfying, and while it can be a struggle to keep up on defense, the interaction between all 10 men on the court at any time has never looked or felt this real. 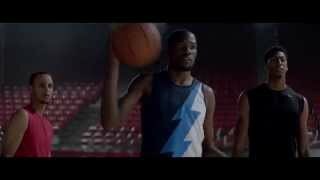 Allow yourself to get pulled into the show, and it’s hard to see where real life finishes and NBA 2K starts. It's the best sports series on earth. By a distance. NBA 2K15 has an awe-inspiring amount of customization that makes the game accessible for new players, and finely tuned for veterans. Each mode has addressed and improved upon criticisms from previous years and despite a slight misstep on defense, offense has never felt better. NBA 2K15 builds on the foundations laid down by its predecessors, providing an all-star basketball experience marred only by online issues. Fortunately, the small changes do improve the overall package – and Visual Concepts already had an outstanding basis to work from. Basketball fans will find everything that they want and more here. 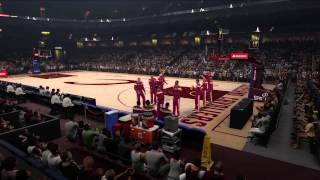 I wish that NBA 2K15 didn’t have the netcode issues it has. Without them this would be a (pardon the pun) slamdunk purchase for all basketball fans. The on-court action has been refined and MyCareer is arguably better than ever, making NBA 2K15 another fine basketball game. It's just a shame that the online facet of the game is so poor. Despite this, NBA 2K15 is still well worth checking out. If you can stomach the irritating server issues, there's a wealth of top-tier hardwood content in NBA 2K15 that no baller should miss. The NBA 2K series continues to deliver the best professional basketball experience available on consoles and PCs. Though some strange visual bugs might rub a bit of shine off of an otherwise excellent package, there’s no denying how well NBA 2K15 plays. I enjoyed the revamped MyCareer and MyGM modes, but in the end I really just wanted to spend more time online. The online suite is nice, of course, but the gameplay simply hasn’t changed much. Basically NBA 2K15 is an expansion pack for NBA 2K14, and it’s a good one! When it works, NBA 2K15 offers a triple double worth of compelling content, from its accessible but deep gameplay to the deep MyGM and dramatic MyCareer modes. Unfortunately, the connectivity issues continue to box out players from its engaging experiences. Feels like a new-gen experience that 2K isn’t quite ready for. It’s an absolutely beautiful game to look at, and its controls are as tight as they’ve ever been. Some features are vastly improved from last year, and fortunately most of those continue to work when the servers don’t. It’s a shame that the best game modes won’t always be accessible, because this could’ve been an amazing basketball game. 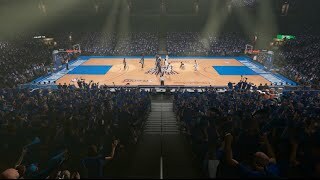 Developer Visual Concepts added a few new things to NBA 2K15, but seem to be relying mostly on a fanbase that they hope is content with what they brought out with 2K13 and 2K14. Online issues and forced connectivity for single player modes keep NBA2K15 from being the year's best sports game. Impressive visuals and rock-solid core mechanics however, make it a necessary addition to any NBA fan's library. If the guts of the game are available, NBA 2K15 is the best sports title of the year, by a New York mile. The design choices at its edges — either needlessly making offline features dependent on online access, or insufficiently supporting the dedicated online modes — stain what is otherwise a role model for all sports video games. NBA 2K15 delivers a solid core basketball experience, particularly with MyCareer mode, which features real-life NBA player voices. But the game ties too much of the experience to its shoddy online component, which sabotages the experience—and even makes the game literally unplayable at times.